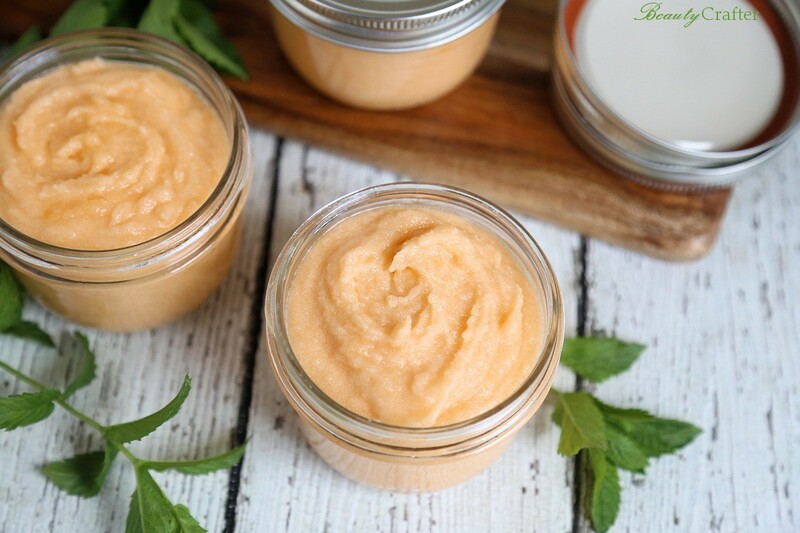 Like most sugar scrubs, this homemade Orange Mint Sugar Scrub recipe is quite easy to make and leaves skin fresh, soft, and moisturized. It’s a DIY gift that the recipient will actually use and only takes a few short minutes to prepare. 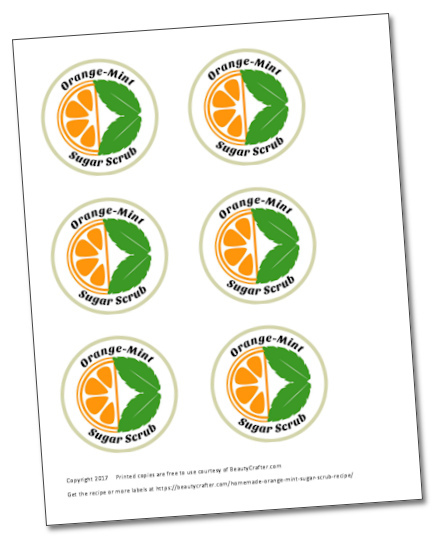 This Orange Mint Sugar Scrub has a bright refreshing scent, scrubs away old skin and nourishes the freshly exposed skin with moisturizing oils. The great news is you can have a batch of this sugar scrub whipped up and in jars within ten minutes! 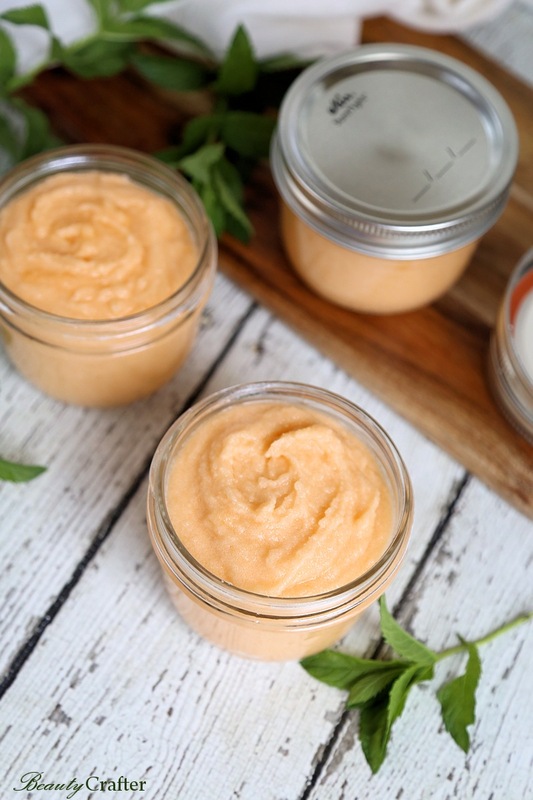 Exfoliate and moisturize your skin with this homemade Orange Mint Sugar Scrub in the bath or shower. It can also be used to target skin areas such as hands, feet and elbows that need some extra love. Here are all the items you will need other than sugar, which is easily picked up at the grocer. This simple refreshing orange mint body scrub recipe leaves your skin moist, smooth, and refreshed. Put the sugar and oils into a medium sized mixing bowl. Mix well. I use a batter bowl . Add the gel food coloring and essential oils and whisk until the color is evenly distributed with no dark spots. Scoop the sugar scrub mixture into the jars and screw on covers. As I’ve made labels for some of my other body scrubs, I felt this one needed the option for you to print a label as well. They will fit on mason jar lids, just like the ones I’ve made for other scrubs on the site.